Its time to live life outside the box! Home / BLOG / Its time to live life outside the box! Denver is known for its captivating beauty and gorgeous outdoors, and that’s undoubtedly why you chose to make it your home. Enjoy the great outdoors fully by taking your living room outside. 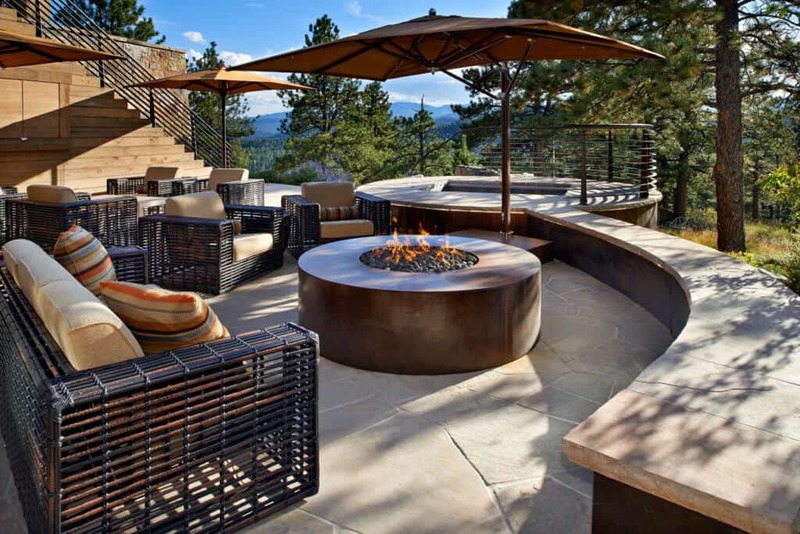 When it comes to outdoor living spaces, the possibilities are endless. Whatever your style, you can customize an environment for your favorite activities. Take your popcorn outside and enjoy a movie under the stars with outdoor entertainment systems. Yes, it is possible to find a TV that can withstand the changing conditions of Denver! 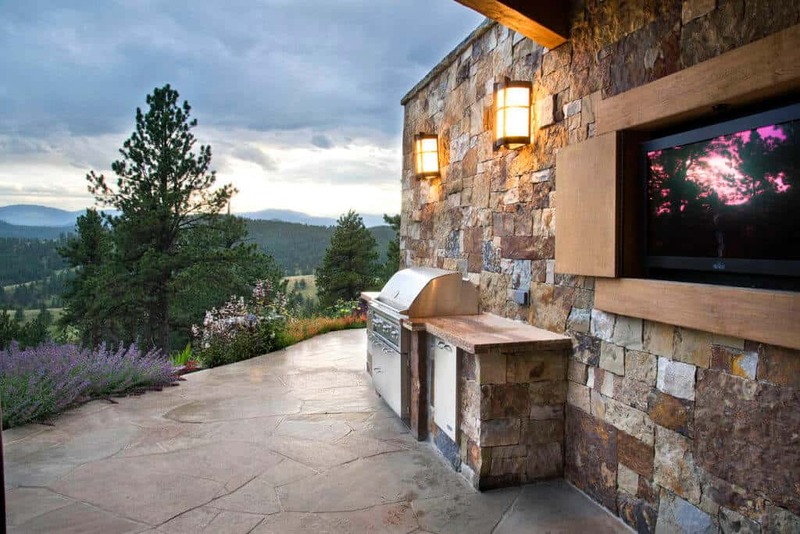 Weatherproof TV’s from brands like SunBrite are specifically engineered for the outdoors without sacrificing viewing quality. Surround sound systems can also be strategically placed around your space to be concealed from sight while still offering clear sound. Lay back on soft couches upholstered with durable, comfortable outdoor fabrics and watch your favorite film. 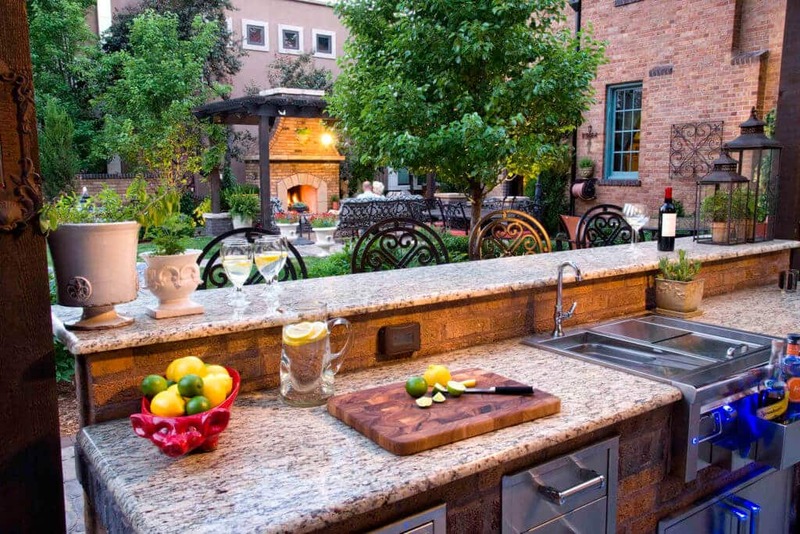 Create the ultimate outdoor dining experience by installing state-of-the-art kitchen in your own backyard. Go for a sleek, stainless-steel stove and beverage fridge, or try a stone pizza oven and fire pit for a more organic look. Once the food has been prepared, dine al fresco at a dining table, outdoor bar, or seating area. Create a comfy area for dining out by installing pavers underfoot or a shady pergola overhead. If you’re worried your outdoor conditions might be less than favorable, create a oasis with climate control, sound masking, privacy, and organics. Outdoor fans can keep temperatures from climbing in the summer and a cool breeze blowing. 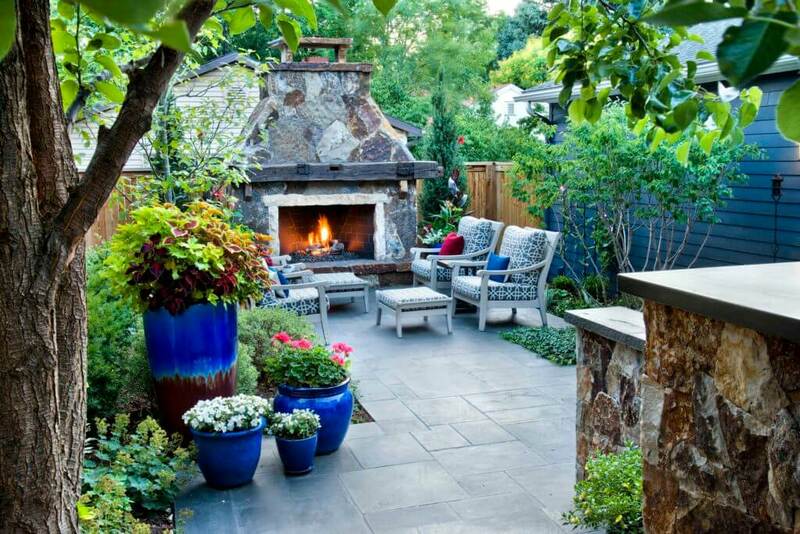 A heater or custom fireplace incorporated into your hardscape can be stylish as well as cozy. A sound system that plays relaxing music or a bubbling water feature can mask the sound of passing cars or noisy neighbors. Surrounding your outdoor room with sound masking plants like climbing vines or a pocket garden can keep your space private and full of natural inspiration. Discover even more ways to take your living spaces outside by contacting the professionals at Lifescape today. Lighten up! Outdoor Lighting is more flexible than ever.